Here’s a gaming mod that just simply gets me really excited, probably because I still have my old Game Boy (it doesn’t turn on because of an incident in the rain, but I have kept it for nostalgic purposes). 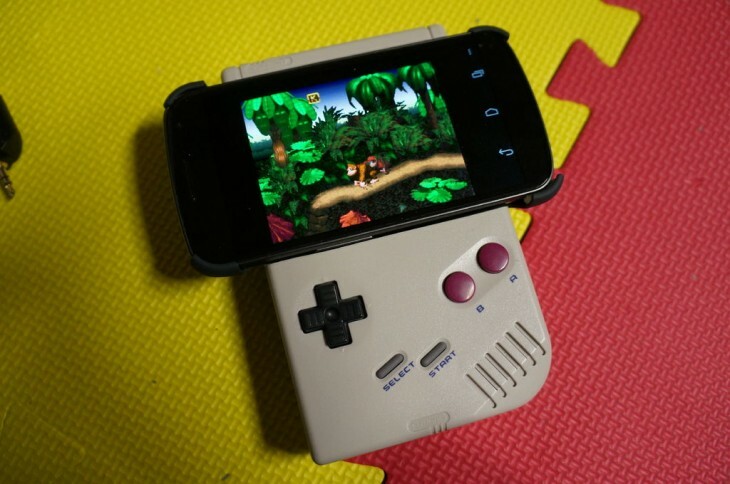 Gamer Chad Boughton has turned his old Game Boy into a gamepad for his Galaxy Nexus phone. The mod uses the guts of a Wii remote and the Wii Controller IME app to communicate via Bluetooth. The best part is Boughton has rewired the Wii remote keys to the Game Boy ones. As someone who hates touchscreens, especially when it comes to playing games, this is a really cool hack. It’s a great way to appreciate the old way of playing games without actually having to rely on an old device to power everything. It’s quite honestly a beautiful mod that took more work than it might look at first glance. Boughton had to rip open the Game Boy, cut up its circuit board and attach it to the one for the Wiimote, modify the case to make space for the cell phone mount, and that’s not including getting all the software needed for the communications to work properly. I wanted to play Nintendo emulators on my phone, but did not like the touch screen input. I’ve heard this complaint time and again, all over the ‘net. I’ve seen some great looking commercially produced solutions, but I wanted something more. I wanted to enhance the experience by actually playing on classic Nintendo hardware, and at the same time not having to plug in via USB. Not to mention I love making things. If you want to try to recreate the mod (it can be altered for any Android device), head over to the Game Boy Android Gamepad page on Instructables.